Infinite Protect Curling Tong is rated 4.8 out of 5 by 5. Do you love beachy waves, a textured ponytail or Hollywood glamour curls but worry that heated styling might cause damage and colour fading? Worry no more because the Infinite Protect Curling Tong comes with the Infinite Protection Technology that ensures your curls are protected for long lasting vibrancy & shine. 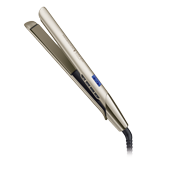 The Curling Tong senses contact with the hair when it's wrapped around the barrel and adjusts the temperature automatically to prevent overheating. And the Advanced Ceramic coating on the barrel transfers micro conditioners infused with Shea Oil and U.V. filters for extra protection. 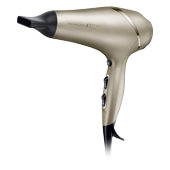 The 32mm clip barrel is perfect for creating natural voluminous curls and waves and the digital display with 5 heat settings (140°C-210°C) let you tailor the temperature to your hair type - looking flawless has never been easier! Rated 5 out of 5 by Diane from Best Ever I really love the way this product make my hair curl. Rated 4 out of 5 by Col4884 from Does the job great This product does the job greatly.. I love this item and would highly recommend for anyone who would love to put curls and ringlets in there hair..